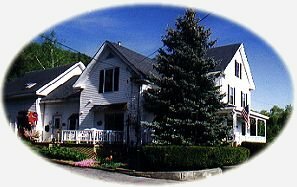 Horsefeathers Bed and Breakfast is a charming 10 acre 6 room, 1897 Vermont farmhouse with splendid clifftop views of the mountain laced Connecticut River winding its way through the historic village of Bellows Falls. Gardens are everywhere, brimming with perennials, annuals, vegetables and formal herb gardens. Savor a two course gourmet breakfast before venturing off to local attractions including major ski areas, train and river excursions, antique art and craft centers, golf, trout fishing, art galleries, live theater and most importantly the incredible beauty of Vermont in all four of her special seasons. Just minutes from Brattleboro, Putney, Saxtons River, Grafton, Chester, Ludlow and Springfield. 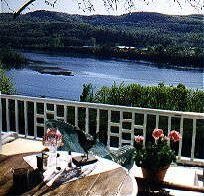 This and other Bellows Falls Bed and Breakfast Inns can be found here in The Register.